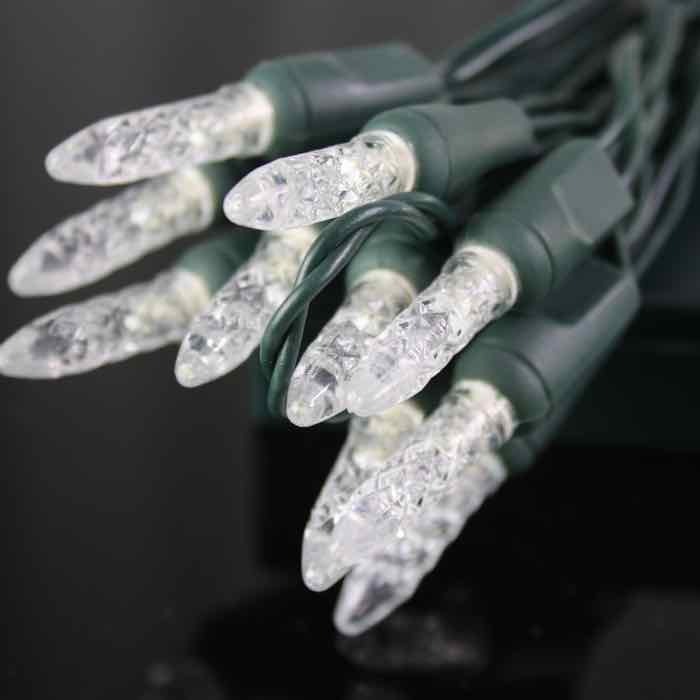 One of the most useful LED Christmas light sets we sell: battery powered mini-icicles on green wire. We love the flexibility and ease of use they bring to decorating and crafts. 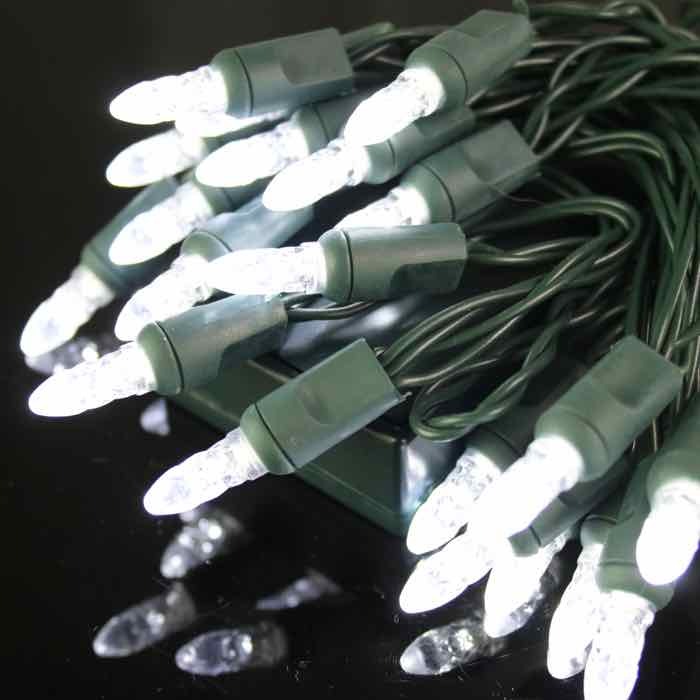 They provide instant joy and shine when added to both indoor and outdoor applications. Light up a rustic grapevine wreath by wrapping these lights around and then adding a tinsel snowflake garland. Layer the pure white LED lights underneath cotton batting to add snowy sparkle to a Christmas village. 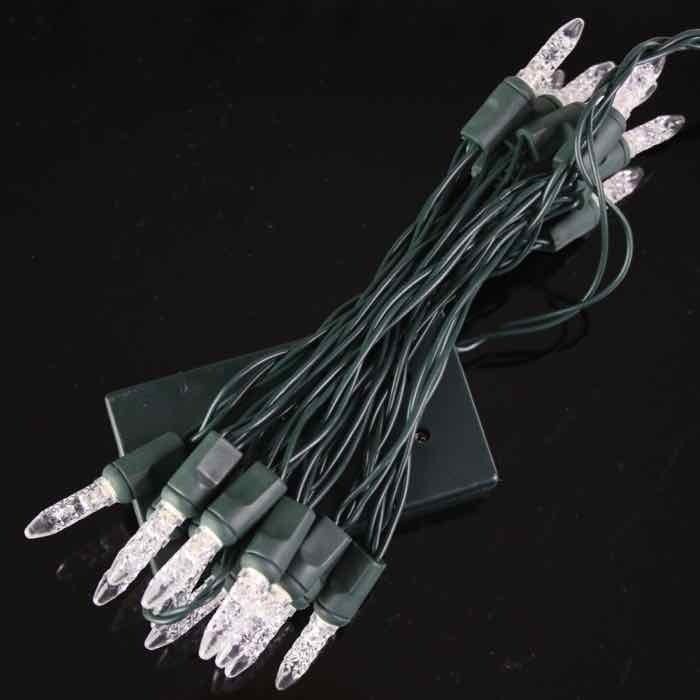 With a lit length of 6.6 feet and 4-inch spacing, these battery powered lights can illuminate mantle greenery, bowls of Christmas ornaments, and even glass blocks. 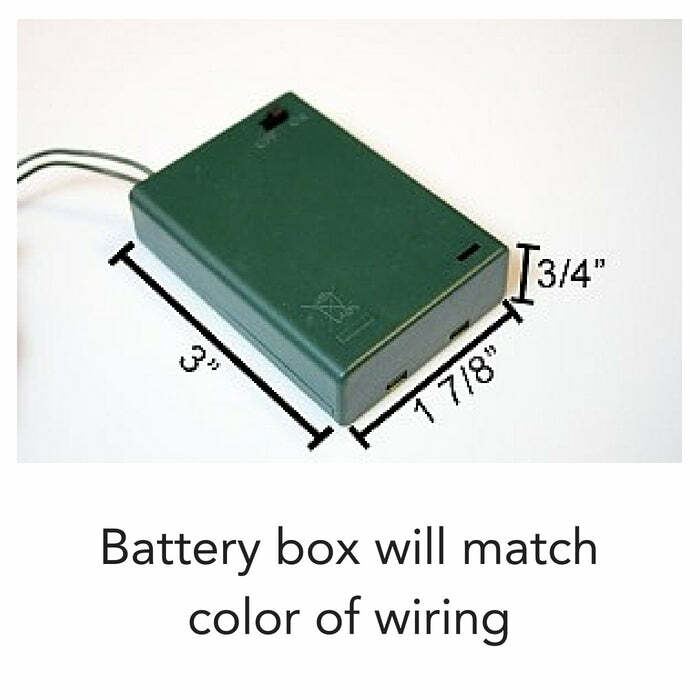 These lights last 18-24 hours per new/fresh battery set. 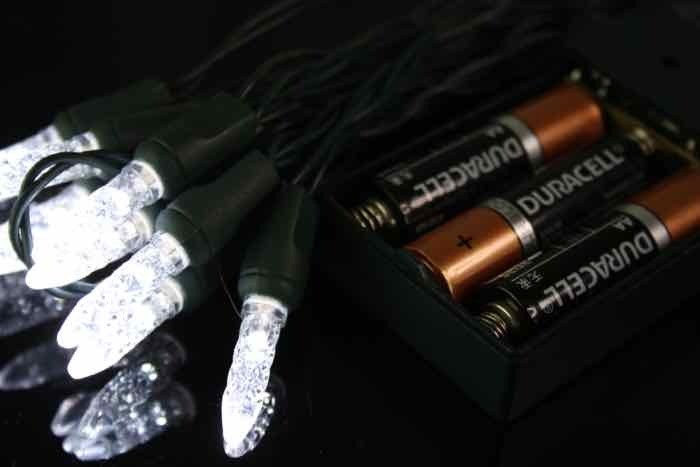 If you want to avoid the appearance of messy long cords, then give these battery operated LEDs a try.